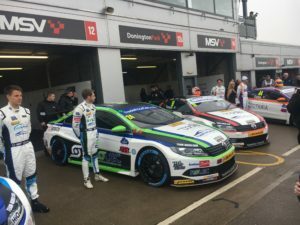 All eyes were on Donington Park as the 2018 British Touring Car Championship was launched with the annual Media Day event. All the teams and drivers convened on the Leicestershire circuit as the cars were revealed and completed a four hour test session in the afternoon. 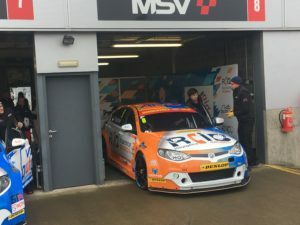 It was a wet start to the day as the cars were revealed in the pit lane, and with some teams taking on new cars and liveries, it promised for quite the spectacle. Subaru were first to show off their 2018 challenger by virtue of drivers champion Ash Sutton. 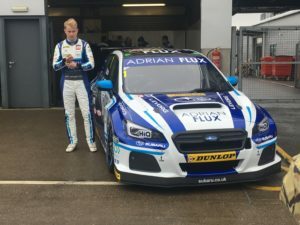 The Levorg was wheeled out alongisde Sutton’s team mates Jason Plato and Josh Price. 2017 champion Ash Sutton with his Subaru Levorg. 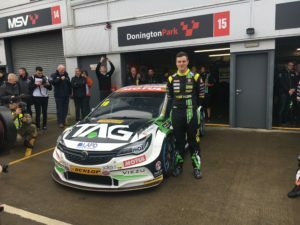 Tom Ingram’s Speedworks team were next, with their Toyota Avensis promising so much for the Independents champion, finishing third overall last season. Many are tipping him as a dark horse for this season’s title, and his car looked ready to go. 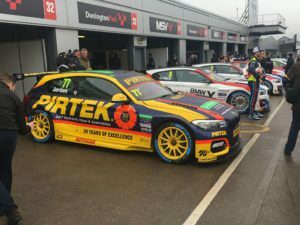 The BMW team were next, with 2017 runner up Colin Turkington and Rob Collard unveiling their BMW’s before Andrew Jordan rolled out his Pirtek backed BMW, which sported a Red Bull-esque matte finish. The BMW squad for 2018. One of the most hotly anticipated cars to be seen was Rob Austin’s Duo Racing Alfa Romeo Gulietta. 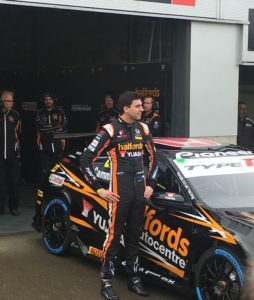 The fan favourite walked out with his new car with the historic name returning to the BTCC grid. It will be sure to invoke the days of Gabriele Tarquini of the 90’s for some. Rob Austin with his Alfa Romeo Gulietta. Halfords Yuasa Racing were next, with their brand new Honda Civic Type-R’s. 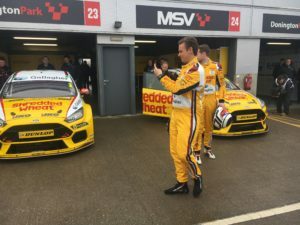 Matt Neal returns with a new face next to him. 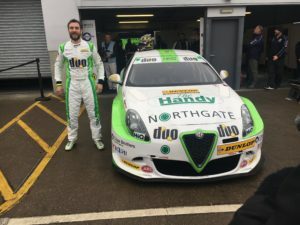 Ex-Porsche Supercup driver Dan Cammish replaces Gordon Shedden for 2018. New Honda driver Dan Cammish. 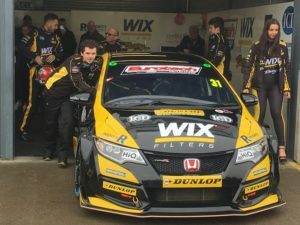 It was Wix Racing with Euortech’s turn next, with Jack Goff and Brett Smith unveiling their newly liveried yellow and black Honda Civics. Simpson Racing are also running under the Eurotech banner with Matt Simpson’s Civic being wheeled out too. The Eurotech Civic is unveiled. A team which promises a lot this season is the Shredded Wheat with Gallagher outfit. 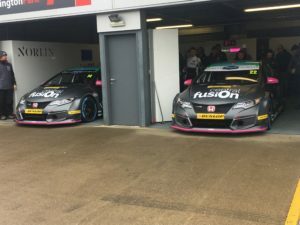 With Tom Chilton joining from Power Maxed Racing, James Cole coming from Subaru, and 2016 runner up Sam Torfoff returning to the sport in a Gard-X sponsored car. They’ve changed up the Focus ST to the new RS. Tom Chilton and James Cole with the Shredded Wheat Ford Focus RS being wheeled out. 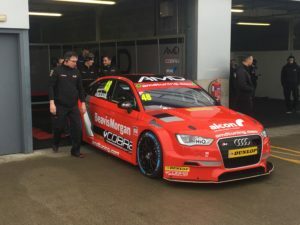 Ciceley Motorsport were next up, with Adam Morgan returning in his Mercedes A-Class. 2017 race winner Aiden Moffat remains with Laser Tools Racing. Meanwhile Ciceley added a third entry to their roster this season, with former Ginetta GT4 champion Tom Olliphant running a green A-Class. Tom Olliphant’s green Ciceley Motorsport Mercedes A-Class. BTC Norlin were next up, with Chris Smiley sticking with the team and 2011 Independents Champion James Nash replacing the retired Dave Newsham. The team have changed from the Chevrolet Cruze, to the Honda Civic for this season. 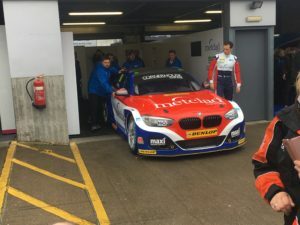 Stephen Jelley’s Team Parker Racing have moved from a Ford Focus ST to a new BMW for this season. Sporting a fresh red, white and blue livery, the team will be hoping for big things this season. Stephen Jelley’s new BMW, having used a Focus last season. Power Maxed Racing went next, with new title sponsor TAG. The Vauxhall Astras will be driven by 2017 Jack Sears Champion Senna Proctor, and 2015 Jack Sears Champion Josh Cook, who moves from the Triple Eight team. Senna Proctor with the Power Maxed Astra. Team HARD unleashed their four very different Volkswagen Passat CC’s too. With four cars and three new drivers, only Jake Hill remains from last season. In come Bobby Thompson, Michael Caine, and 2017 Renault Clio Cup champion Mike Bushell. The fab four of Team HARD. AmD Tuning were last up, with their two Audi’s being joined by the Triple Eight MG’s, which AmD have bought out. In the Audis were Ollie Jackson and series newcomer Sam Smelt. While in the MG’s were returning driver Tom Boardman, and former Shredded Wheat driver Rory Butcher. The Audi half of AmD Tuning. 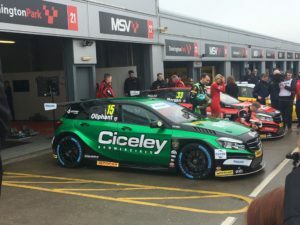 With the cars all unveiled and the grid complete, all eyes now turn to the season opener at Brands Hatch on April 7 and 8.